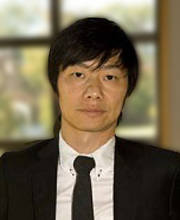 Harrison Hong is Professor of Economics at Columbia University. He was previously the John Scully' 66 Professor of Economics and Finance at Princeton University until July 2016. His work has covered diverse topics, including behavioral finance and market efficiency, agency and biased decisions, organizational diseconomies and performance, social interaction and investor behavior, and social responsibility and the stock market In 2009, he was awarded the Fischer Black Prize, given once every two years to the best American finance economist under the age of 40. He is a research associate at the National Bureau of Economic Research and currently an editor of the International Journal of Central Banking. He has been an associate editor at the Journal of Finance, Journal of Financial Intermediation and a Director of the American Finance Association.